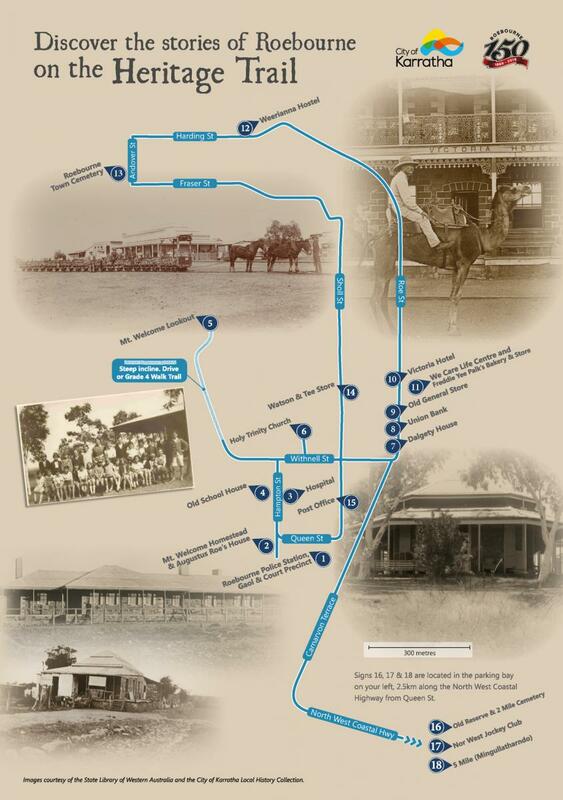 This trail takes you on a journey to discover the history behind eighteen of the oldest and most significant buildings and sites in Roebourne. The trails also provide an insight to how life was for the early settlers and Aboriginal people all those years ago. See the below links for more trails in Roebourne, Karratha and surrounding towns. Contact the Roebourne Visitors Centre to discover more Roebourne attractions.